Sunrise Studios in Perissa offers free parking. 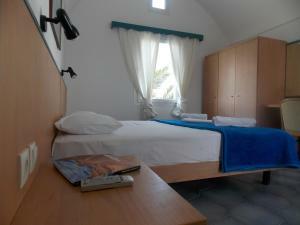 The studios are located at 50 meters from the famous black sand beach of Perissa, in Santorini. Spacious room with a private furnished balcony overlooking the Aegean Sea, a kitchenette, air conditioning, a TV, a safe and free Wi-Fi. The property can arrange a shuttle service to the port or airport, upon request and at an additional cost. Spacious studio with a private furnished balcony overlooking the Aegean Sea, a kitchenette, air conditioning, a TV, a safe and free Wi-Fi.